Goulas Electronics (Pty) Ltd has for the past 40 years been the market leaders in the manufacturing and distribution of vehicle security systems. Trading under the Euro-Lock banner we are determined to offer all our valued customers with products of the highest quality and the latest proven technologies. We also strive to provide comprehensive backup service on all our products and servicing of all existing installer networks. Our technical staff consists of qualified systems engineers that can provide our clients with only the best possible service in both technical and support services. As a South African company, our focus will be to continue procuring, assembling, marketing, distributing and servicing our vehicle security systems and allied products to our local & international client base. Every 20 seconds a motor vehicle is stolen in South Africa, a statistic which is showing no significant reduction. For 40 years Eurolock SA has been at the forefront of protecting vehicles and their contents with highly innovative products, substantial expenditure on research and development, leading-edge design and manufacturing techniques. Our experience in the vehicle security industry is unsurpassed. Eurolock products are also acknowledged by the industry as the easiest to install and support. A combination of the above has led to market leadership and the endorsement of many vehicle manufacturers by specifying and fitting Eurolock systems as original equipment. Can you afford to take the risk ? If you would like to find out details of your nearest Eurolock stockist. Eurolock works with a network of approved sales and professional installation companies across the country. Africa's biggest security and fire trade exhibition. 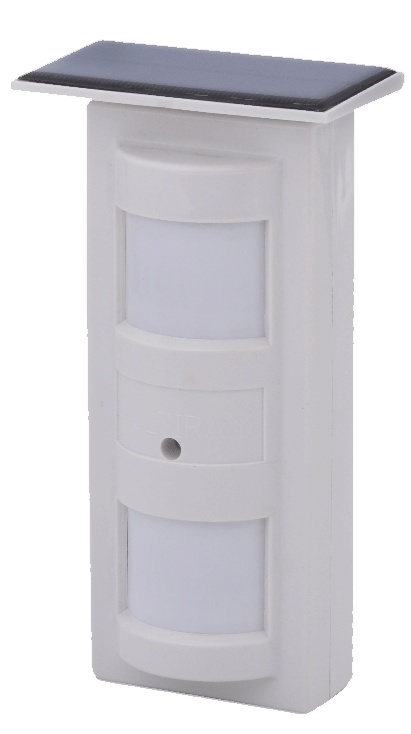 Our new range of wired & wireless dual detectors are now available.